The Standfit offers the newest contemporary design with Swedish designed square lifting columns, this desk base will amaze you with its sturdiness, reliability and functionality that defines itself amongst others in the marketplace. The S2S Electric Height (23”-50”) & Width (44.5”-74”). 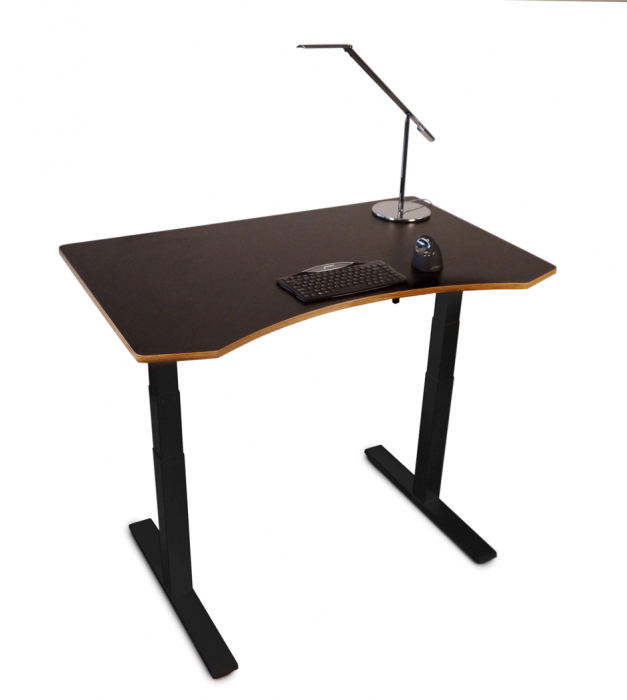 Adjustable Standing Desk with Laminate Surface (S2S-100) is a truly special sit–to-stand desk. 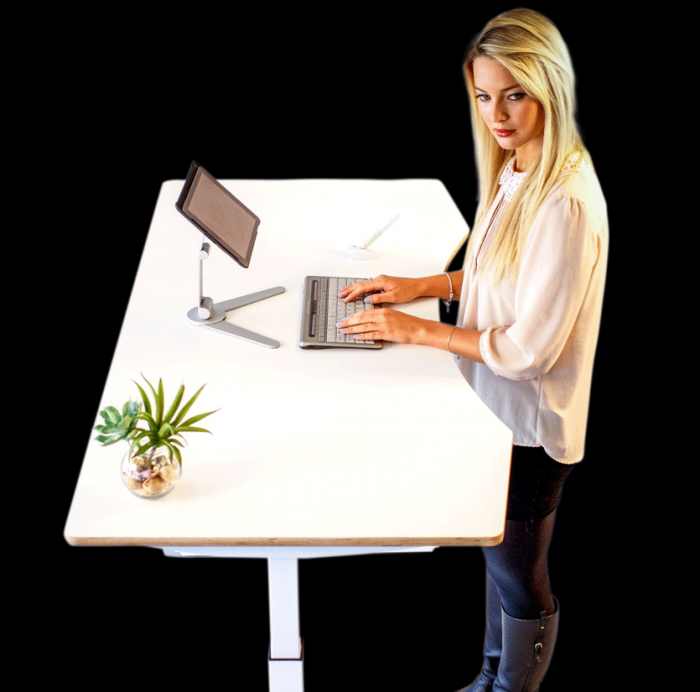 The under-top support beam is width adjustable; its telescoping frame gives you the freedom to change tabletop sizes without having to buy a new base! There’s no crossbeam to interfere with knee clearance or gear and expands from 44.5” to 74”. 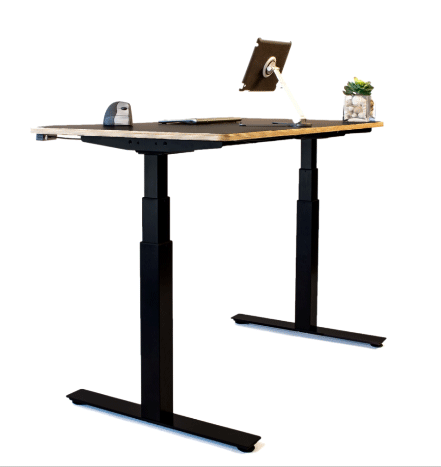 The S2S Height & Width Adjustable Desk with Laminate Surface is equipped with 2 durable legs (offered in charcoal gray or black) are powder coated which aid with scratch resistance. 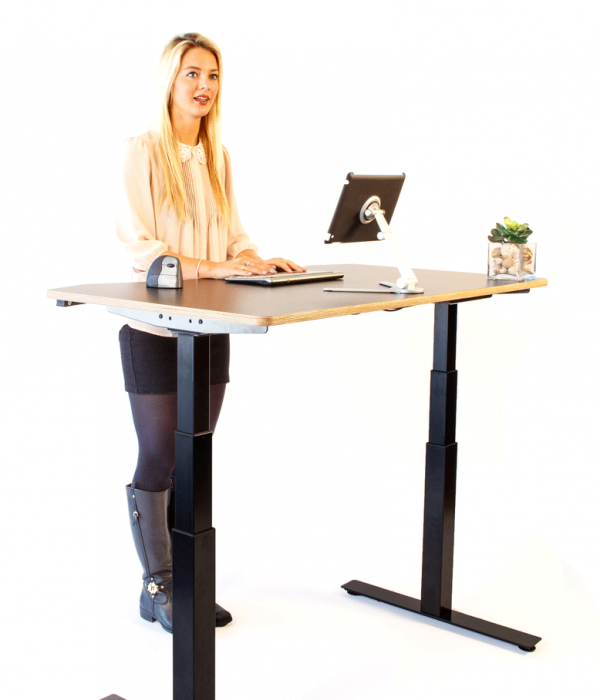 With its dual (one per leg) electric motors, this 3 stage system allows the desk to silently rise from a mere height of 23” to 50”. The desk offers a 335 lbs. lifting capacity(tested at 400lbs). Lastly, the desk is equipped (as a standard not an upgrade), with a programmable memory - 4 presets with digital LED height readout (quick touch presets - no need to hold the buttons down as with other desk lines). 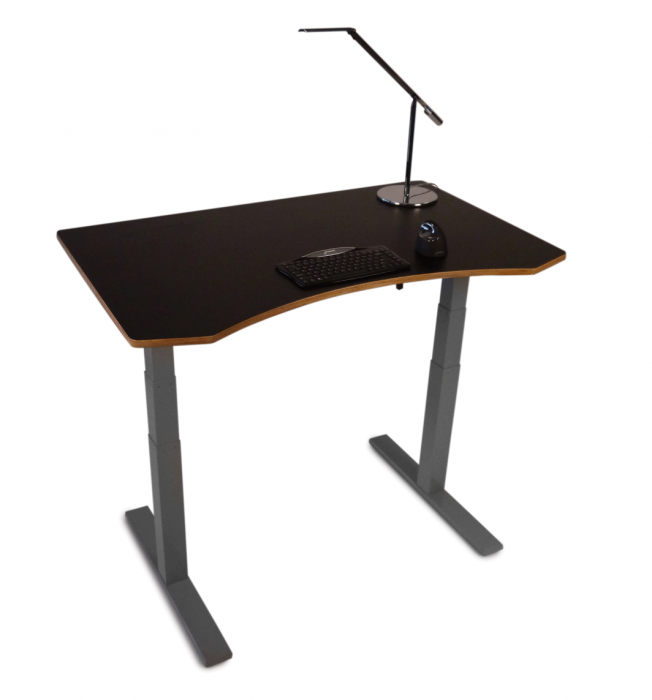 Adjustable width telescoping frame adjusts from 44.5" to 74" wide, which accommodates tops from 43" to over 80" . Dual Whisper Motor (one per leg). 353 lbs lift capacity - our desk base has been tested with various weights and this is where we set the max lift capacity. Our desk lifts 400 lbs (moving at .35"/sec), but to assure a good user experience, we set it at 353lbs (which has double the speed). 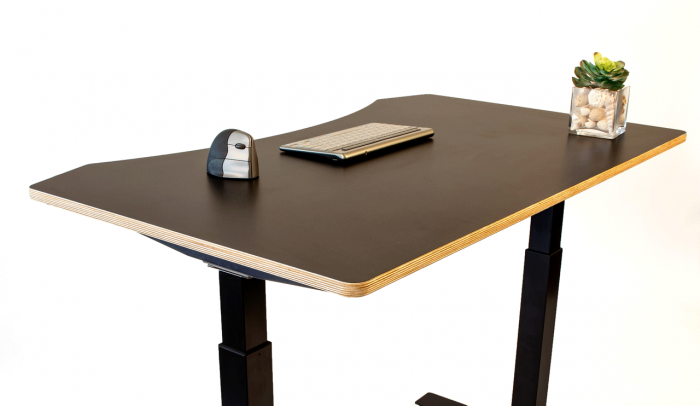 Our desks are tested through 20,000 cycles. Sustaining our environment through responsible and environmentally-friendly practices is an achievable goal. Our Baltic Birch worksurface meets the FSC (Forrest Stewardship Council) certification which assists in achieving points for LEED certification. Baltic Birch work surfaces are produced with no added urea formaldehyde resins which qualify for additional LEED points. Baltic Birch is certified to meet the strict emissions standards set by (CARB) the California Air Resource Board.